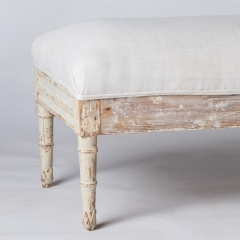 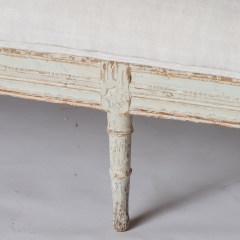 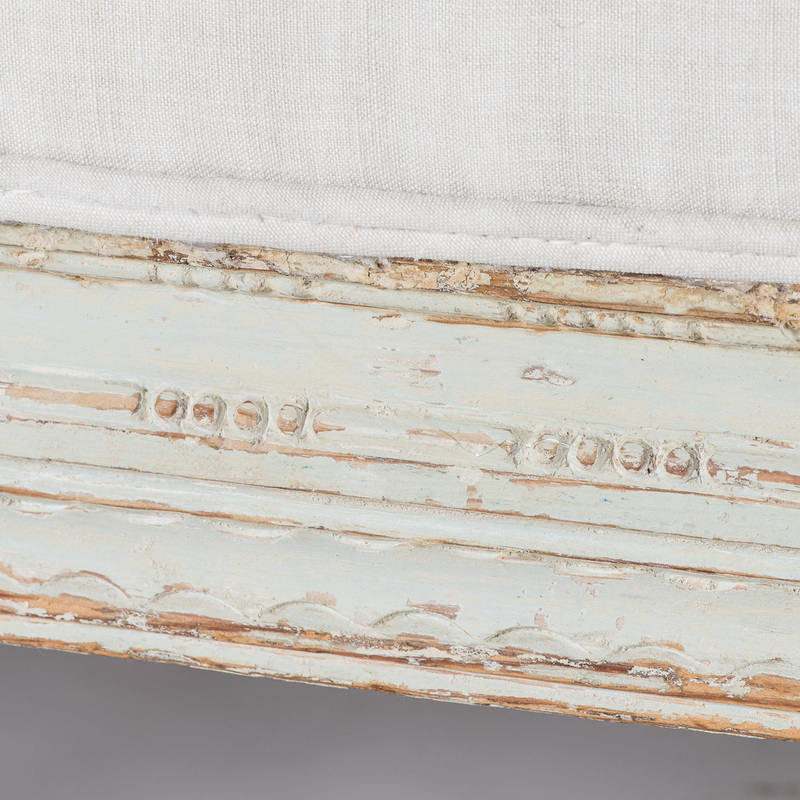 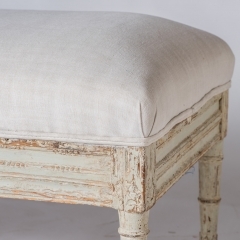 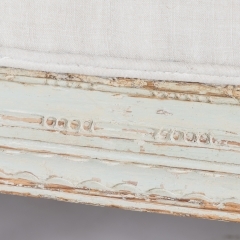 This simple country bench has delicate carvings across the apron, with star motifs at the center and corner. 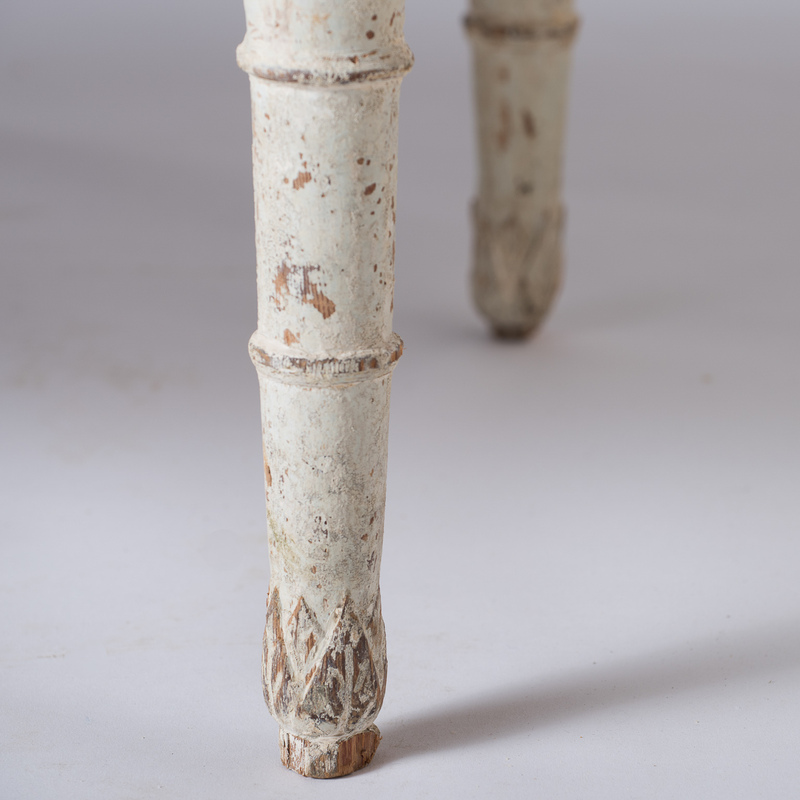 The tapered legs end in a carved diamond design. 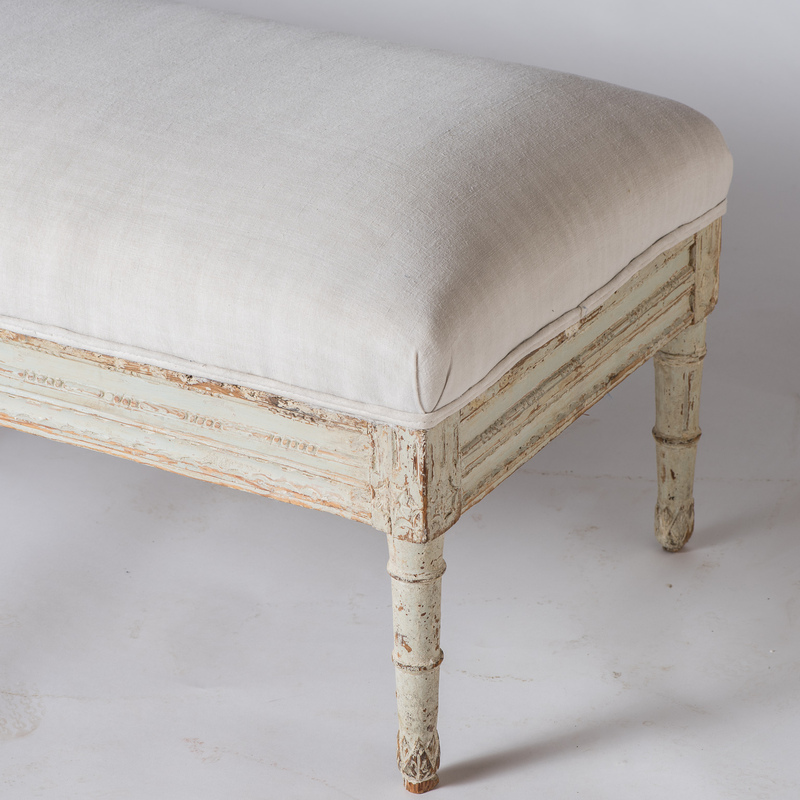 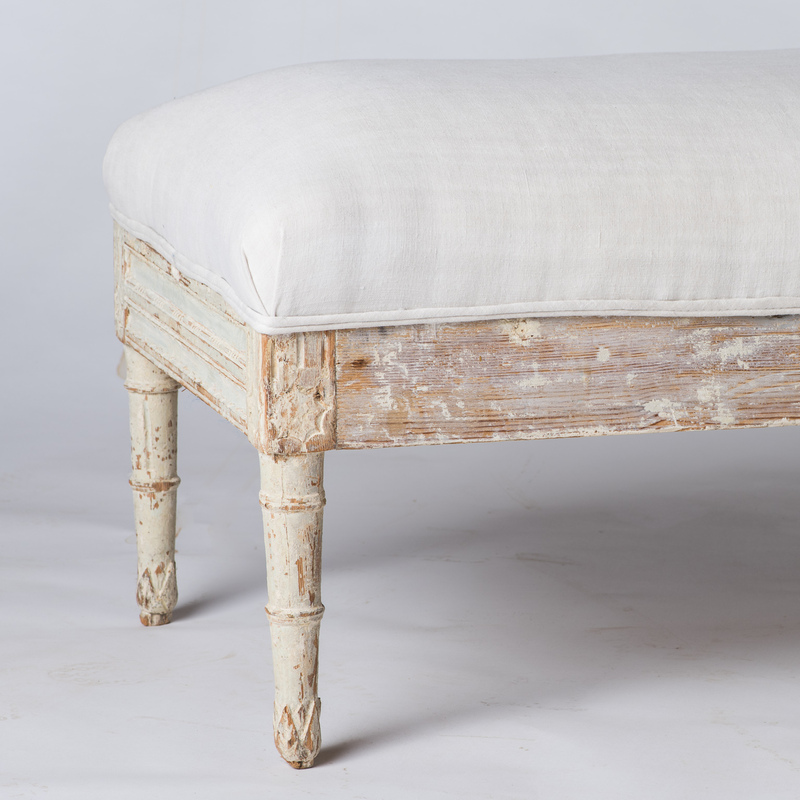 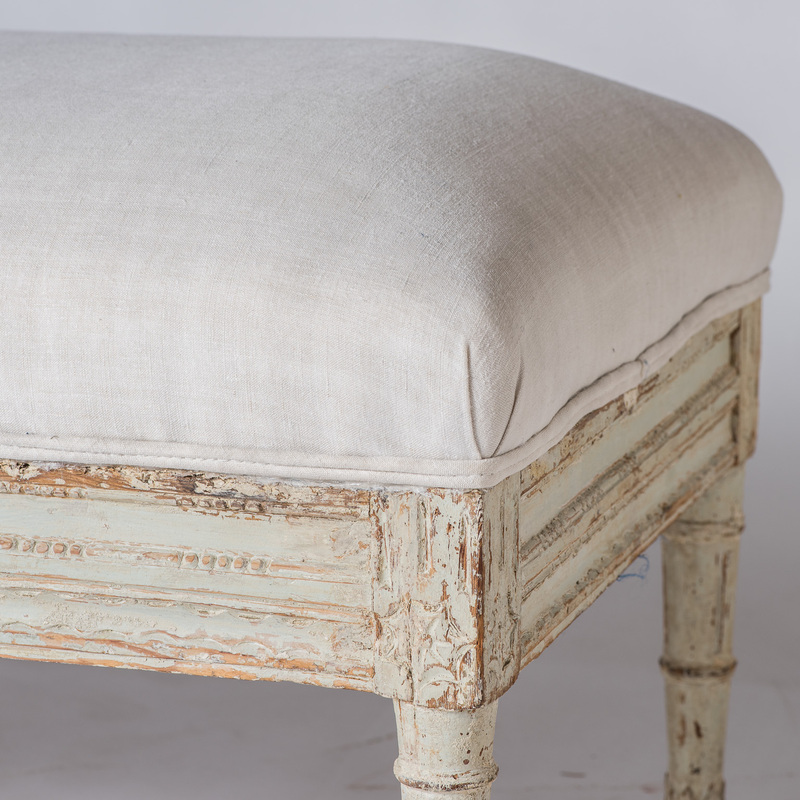 The bench has been newly upholstered with antique French linen.